With a growing presence - including commissioned pieces by world-renowned artists and local talents alike, such as ROA, HAHA, Fintan Magee, Lee Harnden, Kennie Deaner, and the RUN Collective - Street Art is becoming a must-see when visiting the CBD. Guiding the Street Art movement in Townsville is the Street Art Activation Framework. Developed by a larger working group consisting of Townsville City Council, community and organisational stakeholders, the Framework outlines the path forward for Townsville’s Street Art development. The Street Art movement in Townsville provides local artists with exciting professional development and career opportunities and adds value to Townsville’s arts and culture product. Economically, Street Art helps to activate the CBD, encourage cultural tourism, and strengthen the city’s arts sector. Street Art Toolkits provide information for property owners on finding and contracting an artist, and for artists on how to get their street art approved. 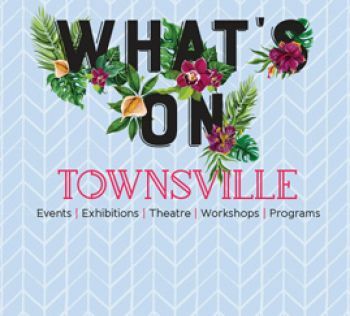 The toolkits form part of the Street Art Activation Framework, which aims to take a proactive approach to street art initiatives throughout Townsville. Street art activation is happening continually, so keep your eye out for more additions and workshops. The Murray Skate Park Outdoor Free Wall: The city’s first free use, community Street Art space where local street artists can practice skills and showcase their work. The Riverway Skate Park Outdoor Free Wall: The second free wall created to allow local street artists to practice and showcase their work. Commissions: As shown by already completed pieces throughout the CBD, commissions significantly enhance the uniqueness and aesthetic of our public spaces. Professional Development Projects and Workshops: These activities expand the skill set of the region’s homegrown creative talent, build resilience in the sector and encourage an active and vibrant Street Art scene. Regan ‘HAHA’ Tamanui discusses his 15 years creating stencils, during which he has forged a reputation as the nation’s leading stencil artist. The interview coincided with Tamanui’s 2015 visit to Townsville to create a new work in Denham Lane consisting of a series of portraits. Street artist Regan 'HAHA' Tamanui discusses his work in Denham Lane featuring many famous faces of Townsville, as well as details about his process and works, past and present. This artwork continues the Street Art project being undertaken in City Lane and was commissioned by Townsville City Council with the assistance of Lancini Property and Development. In Conversation with Rick McLaren, retail leasing manager for Lancini Property and Development and street artist Fintan Magee about his Street Art piece in City Lane, commissioned by Lancini Property and Development. The first half of 2014 saw the completion of two major Street Art works in Townsville. A work by local artist Kennie Deaner in Denham Lane fuses graffiti style writing with a portraiture element referencing the history of the building on which the work is sited, while Lancini Property and Development commissioned internationally recognised artist Fintan Magee to complete his stunning work The Tower in City Lane. Townsville’s own RUN Collective recently completed a fantastic new mural in Ogden Street as part of the city’s continued Street Art Activation. The project was the result of a collaboration between Townsville City Council and Angus Smith Sportspower. The RUN Collective’s work is based on sporting culture in North Queensland, with a major portrait element celebrating the achievements of Cathy Freeman. Freeman has a close relationship with our region and particularly Palm Island, where her mother and grandparents were born, and where the Cathy Freeman Foundation was established in 2007. A timelapse of Leans creating his work Mother Earth 2017 in Ogden Street, Townsville. His work provides a vision of the movement and ecstasy felt when exploring the depths of the Great Barrier Reef and captures the colourful charm of the evening sky. The piece consists of a rich dose of patterns and colour taken from glimpses of the coral and fish specific to the area. Fruit, human form and liquid splice their way through an amalgamation of elements, collectively working and breathing together to create a colourful interpretation of Townsville’s ecosystem.